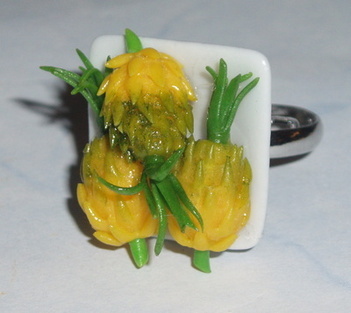 Really trendy Totally Tropical Pineapples on a Plate Ring with an adjustable silver plated ring band. The 3 Pineapples are handmade using fimo clay. These are so cool and going to be a hot fashion trend for the summer :).